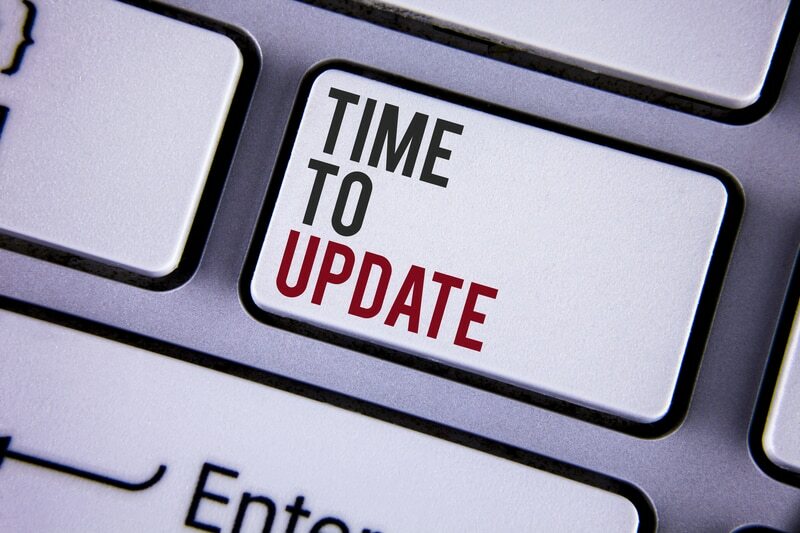 When was the last time you checked your website’s content to make sure it was up to date? Not the technical side, although that is very important, too. Today we’re talking about the actual site content – the text, the links, and the images. Let’s start with your links. Do they work? If a potential guest clicks on a link in your site, does it go where it’s supposed to go? If a Google “Spider” crawls your links, are any of them a dead link? An easy way to make sure all of your links work is to use a free tool like Broken Link Check. You simply enter your website address, then run the scan. After the scan is finished, click the “URL” link to see the page with the bad link, so that you can fix it. Run your blog, too, if it has a different URL than your website – for example “blog.mybedandbreakfast.com” or “mybedandbreakfast.wordpress.com”. If your blog is part of your site, like “mybedandbreakfast.com/blog”, you don’t need to run a separate scan. Oftentimes, broken links are found on events and attractions pages – a restaurant goes out of business, an event ends, a website is reconfigured with new filenames. Another place where broken links often reside is in a blog – mainly due to events. If you find a broken link, you have some options. If the link is to a business that has just changed their website address or pages, just find the correct link and update it. If the link is for an event that has ended, you can just break the link, or remove the reference to the link. If the business is closed, remove the information about the business, including the link. Another place that can be out of date is in your site’s text. Really read every page of your site to make sure the information still applies. This will be very important on events pages, innkeeper’s corner boxes and blog posts. Check your specials and rooms pages – have you changed anything in the rooms that should be updated in the room description? If you have stopped serving food with nuts in it due to allergy concerns, make sure you mention that. How about your policies page? A sure way to make your business look bad in the eyes of potential guests is to have old information cluttering up your pages. On your blog – have you posted lately? Did you do a “See our new site!” post a year ago and nothing since then? Post on a consistent basis – even if it’s just once per month. You can even write blog posts in slower, off-season times, and schedule them for when you’re too busy to write a post – another option is to hire someone to write your posts. Acorn does that as part of our on-going marketing services. If you have dated reviews on your site, ensure that they are recent. Just make sure your content is current so that you don’t look like you don’t care about your business. Finally – images. The most important thing we have to say about images is to make absolutely sure that you own the images or have permission to use them, in writing. Using all of your own photos or images purchased from a legitimate stock photography provider like Dreamstime or iStock by Getty will ensure that you don’t get sued or harassed for a settlement. Using photos you took from the internet, even if it was years ago, even if you didn’t know you had to ask permission, even if the photo didn’t have a watermark, will not keep you safe. You will eventually get caught. Companies use reverse-image searches to findsites using their clients’ images, then send threatening letters asking for money. They will usually screenshot the page, too, so taking the image down won’t help. Check your images from your home page to your oldest blog post and take down any images you aren’t sure about. Also check images to make sure they reflect reality. Have you changed bedding or switched to flat-screen TVs, or even removed TVs? Remodeled bathrooms, removed soaker tubs, etc? Your photos should show what is really available to your potential guests. The last thing to say about images – alt tags. Alt tags are a requirement for ADA. Alt tags are text in the code of your site that explains what an image is all about. For example, a breakfast photo might have an alt tag that reads, “Breakfast plate with scrambled eggs, bacon and a buttered crumpet, accompanied by coffee and orange juice”. Check our Educational Byte video on the subject. Lawyers have been targeting B&Bs in so-called “drive-by” lawsuits, which can be costly, in time, energy and money. Take a couple of hours and go through your site to make sure everything is correct. It’s easiest to just keep up with changes as they happen, but for things like links, you may not even know when they’ve changed. Your site and your potential guests will thank you! This entry was posted in ADA, designs, free tools, General by admin. Bookmark the permalink. It is important to check things often, just this week I was changing out some wording and found a [read more} that went no where. Come to find out, it’s a glitch from mobile to site, so they are fixing that for me. Hi Debbie, that is a great point – to go through your site to find stuff that is just not working or is leading nowhere!